JOIN THE ONLY ONLINE REGISTRY FOR KILI SUMMITERS to get all the benefits of membership in this exclusive club. You’ve Made the Roof of Africa. Remember Your Achievement. Unlike your friends, we understand your achievement. This is a site for those who have stood at Uhuru Peak, know the challenges you conquered, want to show your appreciation in a real way to the porters and guides, and brag to the world that you made it. 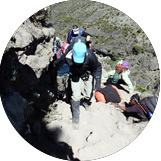 Become a registered member of the Kili Summit Club by providing proof of your summit. Accepted proof includes: a photo of your official certificate from Kilimanjaro National Park or a photo of you at Uhuru Peak. Registered members will receive an exclusive Kili Summit Club “Member” patch and car/window decal with your first order of bragging gear. The Kili Summit Club was borne out of a need for some cool Bragging Gear, but has evolved to become a vehicle to allow all climbers to share their summit experiences and become part of an exclusive community, but most importantly, to provide quality clothing and footwear for the hard-working porters and guides of Mt. Kilimanjaro. Save and share your experience of a lifetime with other Kili summiters. 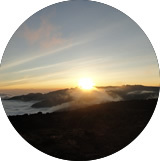 Find and connect with others who have completed Kili through our climber directory. Sign up and order unique bragging gear only through Kili Summit Club. The Kili Summit Club was first borne out of a need for some cool Bragging Gear, but has evolved to become a perpetual tribute to all Kili climbers’ experiences on the mountain, a way to help the hard-working porters of Kilimanjaro, a way for fellow climbers to share their experience with each other, and a genuine need to equip all Kili Summiters with the high-quality gear they earned.